Mordian 7th Regiment: Heresy Era Thousand Sons - Spartan build complete, and a Veletaris Storm Section to boot! Heresy Era Thousand Sons - Spartan build complete, and a Veletaris Storm Section to boot! Ended up getting called in to work at an ungodly hour this morning, so while awaiting some server restarts I polished off the build on the Spartan! I'd left off last night with the application of THE CLAMPS. Another inherited piece of kit from Dave, I'd always intended to pick up a set of my own but never got around to it. They made holding the inner hull and the track assemblies together for gluing a snap! As mentioned earlier the upper deck of the hull needed a quick bath in hot water but was wrestled into shape with minimal cursing. Turns out at that point I was closer to the finish line than I'd anticipated! 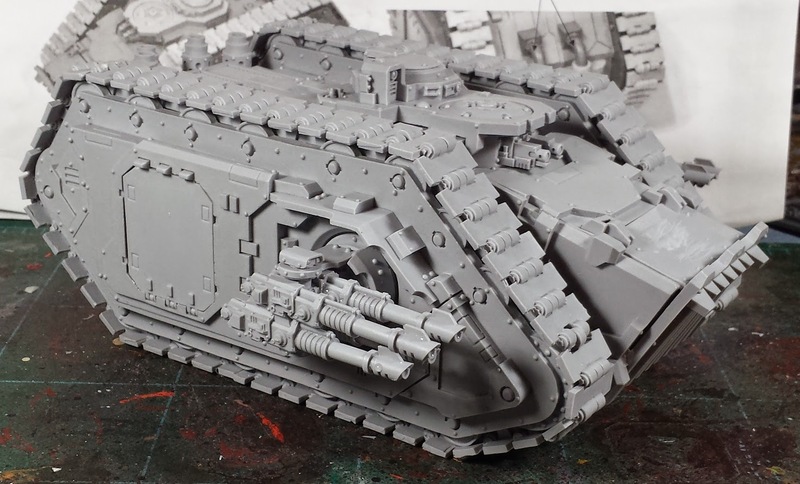 All that remained was to attach the engine/exhaust stacks and build out the quad lascannon sponsons (magnetized for easy transport and storage). Overall I'm quite pleased with how the build turned out. I'd heard tons of horror stories about the construction, and to be fair many of the parts were quite warped due to somewhat improper storage techniques. However, with the application of some boiling water courtesy of the ol' electric kettle (and a bowl of ice water to quickly re-set the resin), everything fit together surprisingly well! After futzing around with the Spartan, I wanted to build something a little quick and easy - I'd gotten a package from Victoria Lamb earlier in the week, so I put together the Veletaris storm squad with rotor cannons I'd been gathering bits for! Pretty happy with how they turned out. Since I had a couple leftover sergeants from earlier lasrifle sections (finished before we found out they come in 20-man squads), all I had to worry abut were the 9 basic models. To differentiate them from the vanilla lasrifle sections a bit they all got backpacks to help bulk them out a bit (besides, they need somewhere to carry extra ammo)! Now it's supposed to be almost 60F today (after yesterday's threatened snowfall) so I'm hoping to be able to get these primered - quite looking forward to painting them! Where'd you get those spiffy rotor cannons? 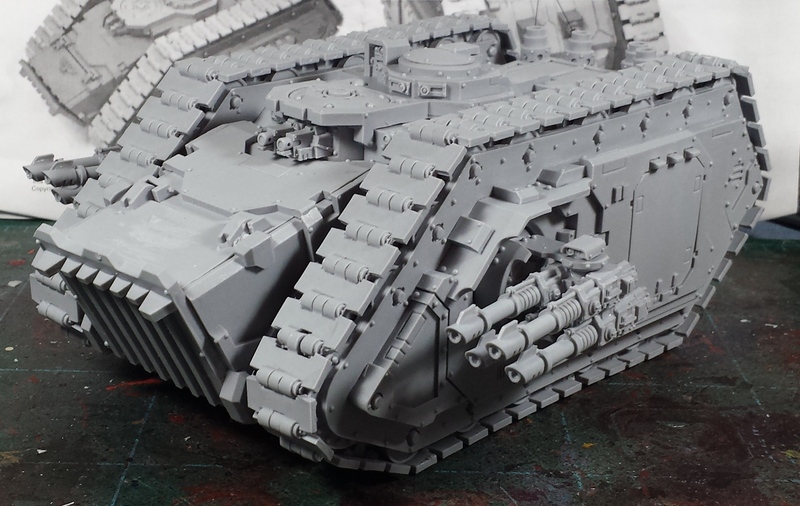 Those solar auxilia look very cool. I like where this ar,y is going, it is going to look fab when all is complete. 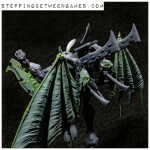 @CJ Kilbride: They're from Victoria Lamb miniatures, specifically their "V.E.R.A Gun Arms". Been looking forward to using 'em! @Nafnaf: Hah! 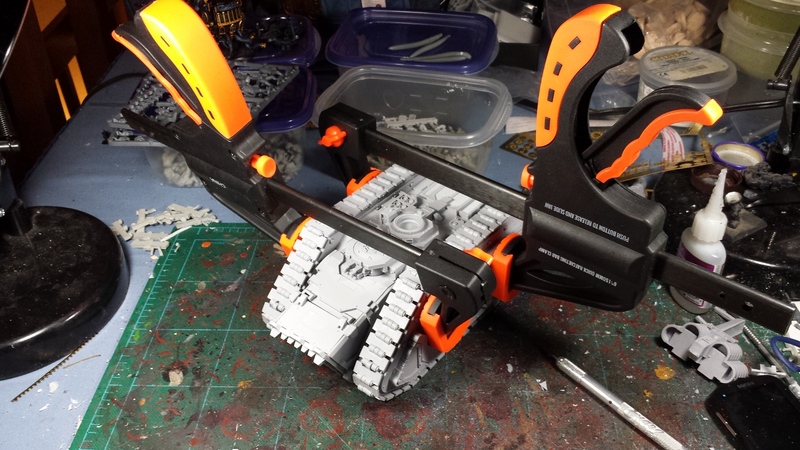 The clamps really are a great thing to have on hand when it comes to building big vehicles. GREAT progress man. And I'm super jealous of the VL figs. They look spectacular. Wow, those clamps are some serious kit. The tank is a good looking result though. New Guard look very imposing. I hope there are some stabilizers on those cannons to help them deal with the feedback? @Miniature Tim: Thanks! Aye, I'm loving the VL minis, excellent quality and tons of character to the sculpts! Highly recommended! @Dai: Hah! Indeed, hence the ALL CAPS name for 'em. :) We'll see how the Veletaris do on the tabletop, they throw a lot of lead but it's only S3 AP6 so mostly useful against other lightly-armoured targets. I suppose quantity of fire has a quality all its own, though! Tank you! That is such a lovely tank!